A view of a fishing pier in Port Aransas. 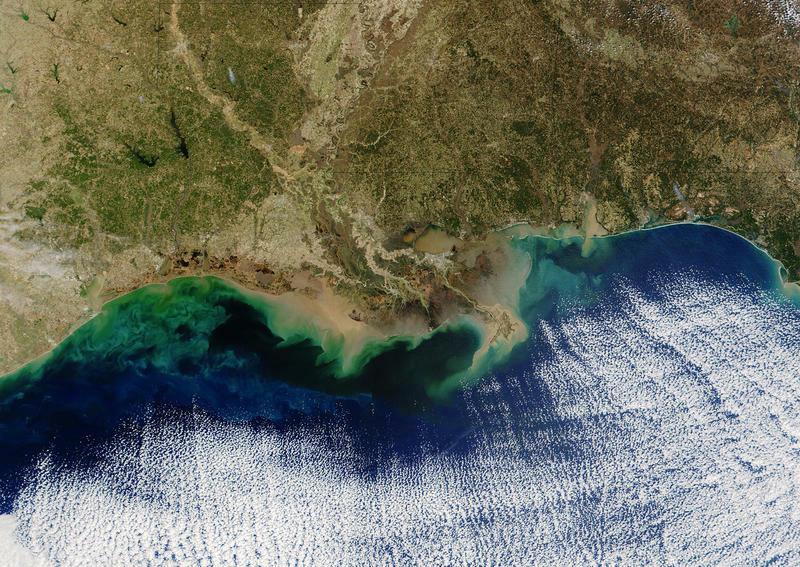 After the runoff makes its way into oceans, it causes overgrowths of algae. When the algae dies and decomposes, oxygen in the water gets absorbed along with it, forming so-called hypoxic zones, says Kim Van Meter, a postdoctoral fellow at the University of Waterloo and co-author of the study. “Fish can’t live there, and you can just end up with a massive die-off of the ecosystem,” Van Meter says. The dead zone in the Gulf of Mexico is the largest one ever recorded in the U.S. At nearly 9,000 square miles, it’s roughly the size of New Jersey. But, even though it shrinks in the winter months, researchers say it still seems to be coming back stronger every summer – which causes a lot of problems. Despite that winter reprieve, the Gulf's dead zone still causes irreversible damage to ecosystems, and there's also a more lasting economic concern, Van Meter says. Van Meter and her colleagues conducted the determine just how long it would take to fix the damage already done, finding it would still take at least 30 years to recover – even if 100 percent of fertilizer chemicals stopped flowing into the Gulf right now. But researchers say there is plenty the agriculture industry can do to significantly reduce the amount of chemical runoff. For one, farmers could start applying fertilizers more carefully or plant certain trees and shrubs to absorb chemicals before they get into waterways. Both authors say that, even if it does take decades to see results, it shouldn’t discourage attempts to fix the problem. Last year, a federal task force set a goal of shrinking the Gulf’s dead zone to fewer than 2,000 square miles by 2035, but unless major changes are made quickly, it isn’t likely that goal will be met.